When looking for a small family car many of us will opt for a Ford Focus, VW Golf or a 1 series BMW however for those who think outside the box and want to be a little different to the norm there is a great little offering from Alfa Romeo called the Giulietta. All models are equipped with the ever popular Alfa “DNA” system, a system that we first got to grips with on the Alfa Romeo 4C featured a few issues ago. This system allows you to drive the car in Dynamic, Natural or All-Weather mode. Natural is quite self explanatory and gives the nest all round experience and economy, the All-Weather lessens throttle response and adjusts the traction control to enable driving in poor weather easier and safer, whilst Dynamic gives the car greater throttle response and quicker steering and is very noticeable once activated. 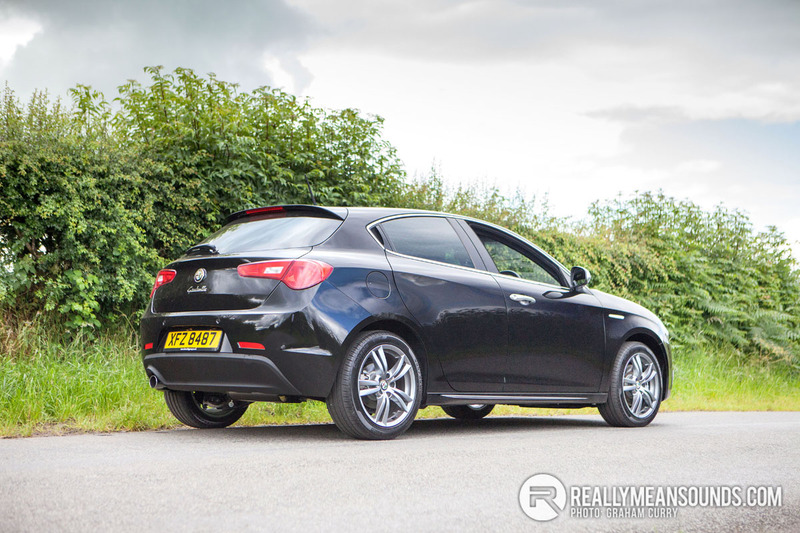 On driving the steering is a little vague but when chucked into a corner at speed the Giulietta’s stiff suspension came into its own and indeed absorbed the long fast corner in question with ease and I came out of it feeling confident with its handling. The 1.4 MultiAir engine combined to the TCT box was great I though especially in dynamic mode and will see 0-62mph in a very healthy 7.6sec with a top speed of 135mph and a more than respectable combined average cycle of around 55mpg. 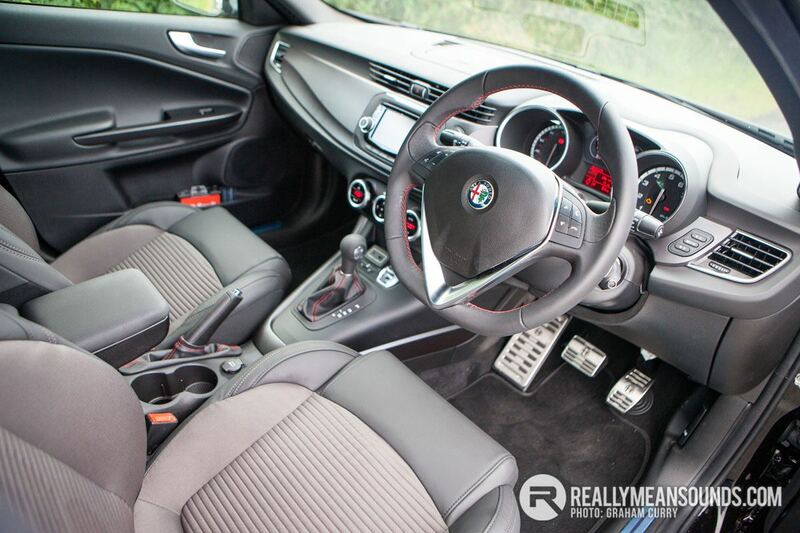 Inside the Giulietta was pleasant, not class leading but most certainly a nice place to be, comfortable seats that could do with a little more bolster support, with all instruments within reach and plenty of room for four adults to be comfortable. Boot space is class leading however at a great 350 litres which allows for a young family and the clumsy foldable wheeled transport that comes with young kids to fit with relative ease. I've been a lifelong Alfisti and owned loads but the Giulietta I had (a QV) was the most disappointing. | I've been a lifelong Alfisti and owned loads but the Giulietta I had (a QV) was the most disappointing. QV Line or the 245bhp cloverleaf ? I am absolutely BUSTING for a run in a QV Mito, reckon it would be a complete hoot ! 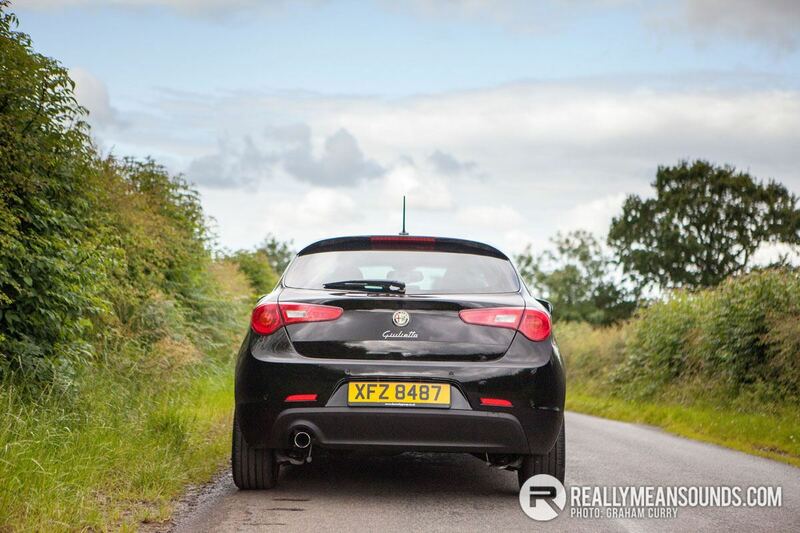 | QV Line or the 245bhp cloverleaf ? I am absolutely BUSTING for a run in a QV Mito, reckon it would be a complete hoot ! The 235PS (232bhp) QV. I haven't driven a QV Mito; they're a bit of a rare machine. We'd a 1.4 Tjet Bravo sport and it was a good wee car and gave very little bother despite being one of the first (July 2007). Ultimately the Giulietta is a better driving car, IMO, but just lacks a bit of the Alfa fizz and my QV (again an early one) had loads of niggly problems. I was probably spoiled as I'd a VXR8 prior to the QV and a 147 GTA before that. That 147 GTA is the car I most regret selling. Maranello Red (or Alfa Red Metallic if you own a Giulietta ;)) I seen it recently about Belfast so still going strong. Thinking about getting a Giulietta for the wife - are they any good? I've always liked Alfa Romeo but I know the reliabilty has always been questionable. She wouldn't be doing big miles though and just needs a slightly bigger car than a Mini. | Thinking about getting a Giulietta for the wife - are they any good? I've always liked Alfa Romeo but I know the reliabilty has always been questionable. She wouldn't be doing big miles though and just needs a slightly bigger car than a Mini. Wife bought a 2011 1.4T multiair veloce 2 years ago, and has done 14k miles in it with no issues at all. I like it, and £ for £ it was better driving and equipped than a lot of other choices.